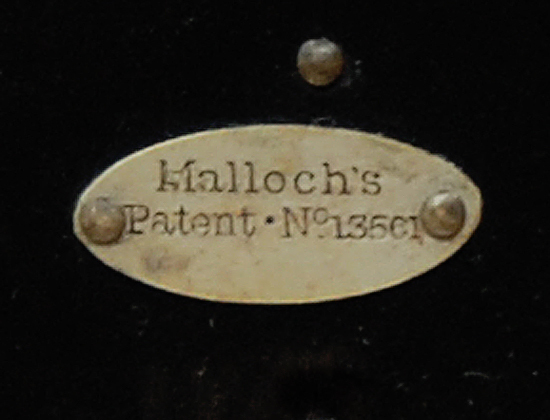 Fishing tackle boxes part three – The spring clip fly box by Malloch’s. With the trout season now put to bed for the winter your fly boxes should be cleared out, properly dried and stored away from moths for the next few months. 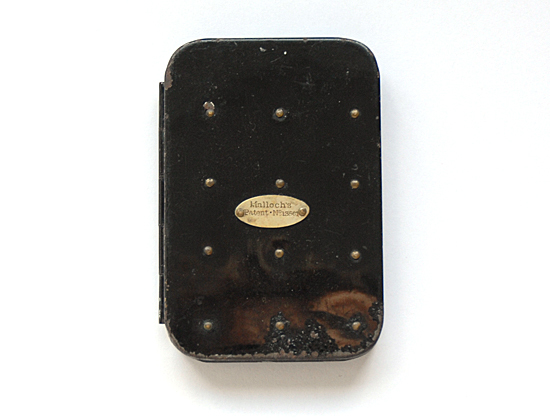 Here we have a natty little Malloch’s fly box suitable for a selection of small dry flies or nymphs. The spring clip fly box can be a fiddle to use compared to modern foam versions but on special occasions when a small fly box is required that fits into your shirt pocket, this is ideal when stealing a quick hour or two on a small stream in the summer months. 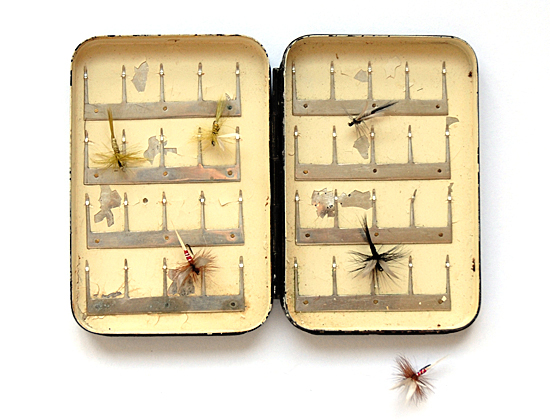 Measuring just 2 1/4 x 3 1/2 inches this little fly box is perfect! A small box, for small flies, for delicate presentation.